is half way round the renowned Ring of Kerry, the most scenically beautiful drive in western Europe and lies at the foot of Beentee mountain, on the river Fertha overlooking Valentia Harbour. The Liberator Daniel O’ Connnell (1775-1847) is the towns most famous son . The writer Sigerson Clifford was also born in the town and his poem “The Boys Of Barr Na Sraide” has been immortalised in song. The town contains many ancient anchoritic sites (heritage sites). Five of these are seen close to the town. Traditional fairdays or market days are still held on the streets where young and old, visitors and locals meet and chat. 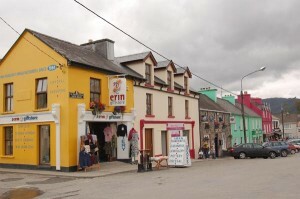 A visit to Cahersiveen ensures intimate bars, superb food, excellent accommodation and a wide range of shops. Kells Blue Flag Beach is located within the Killarney National Park, Macgillycuddy’s Reeks and Caragh River Catchment Special Area of Conservation (SAC) and proposed Natural Heritage Area (pNHA).The beach is also located within the Iveragh Peninsula Special Protection Area (SPA). 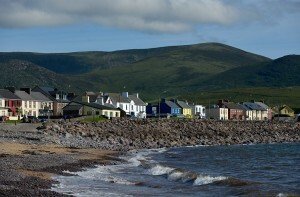 is a small picturesque fishing village of brightly painted houses at the southwest tip of Valentia Harbour. The area was a haven for smugglers and pirates whose hunting ground was the trade from the Continent and North America. Nestled between the spectacular scenery of St. Finan’s Bay & Valentia Island, this area is as amazing for it’s coastal splendour as for it’s Winter Sunsets. Whether your visit to the Skellig Region is for relaxation or the adventures of the outdoors, the breathtaking scenery will leave you gasping at every opportunity. 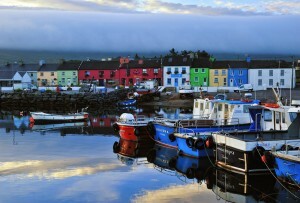 off the South West coast of Kerry, is an island of great beauty and contrast. It is joined to the mainland by bridge via the Portmagee Channel. The western part of the island is dominated by the barren, dramatic cliffs of Bray Head which command spectacular views of the Kerry coastline while the mild effect of the Gulf Stream results in Valentia’s balmy climate and lush, colourful vegetation. is a small town on the Ring of Kerry. Small it may be but it has a lot of heart, offers a friendly welcome and has a rich and interesting history. It was here that an atlantic telegraph cable came ashore connecting Waterville with Canso in Nova Scotia, Canada. There were also cable stations on Valentia Island and Balllinskelligs. Although the cable stations are no longer used they have been designated as World Heritage Communications Sites. Valentia has a Heritage Centre with part of it devoted to the history of the cable stations. The town was a favourite haunt of Charlie Chaplin and his family. He is commemorated by a bronze statue on the sea front. In the last few years Waterville has hosted, very successfully, the Charlie Chaplin Comedy Film Festival. 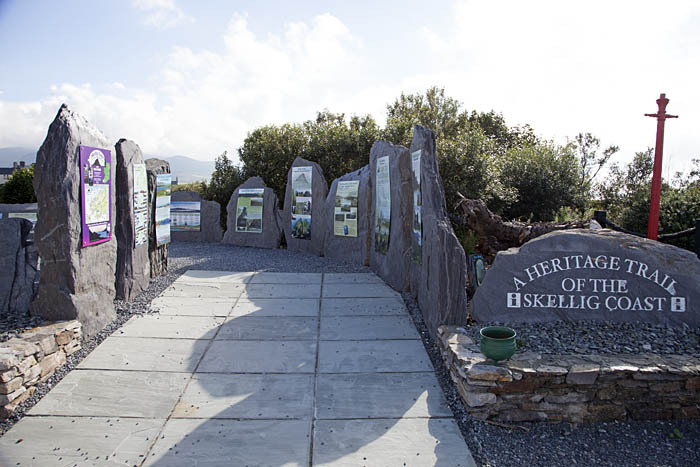 This unique outdoor Heritage Gallery is where you will learn about South Kerry heritage, culture, archaeology – stone forts and circles, geology, birds, flora and fauna, and local folklore and mythology. The Gallery also showcases the range of local sea life and farm life of the Skellig Coast region, an outdoor farm machinery display, a history of Kerry’s transatlantic cable stations, an introduction to Kerry’s International Dark Sky’s Reserve, the Skellig Rocks – a UNESCO World Heritage Site, the South Kerry Gaeltacht – Uíbh Ráthach, Bygone days and local heroes both past and present, local and international. There are 150 information panels beautifully displayed on locally sourced Valentia Island Slate and over 300 photo exhibits and archives both in the Gallery and Craft Market. There are two audio visual screens in the adjoining Craft Market. Admission is free and there are several picnic benches in the Gallery for you to relax and take in the magnificent scenery of Waterville and Ballinskelligs Bay. 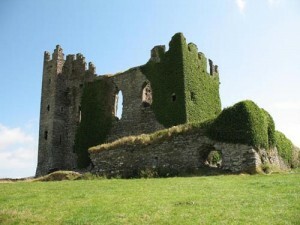 You will find Caherdaniel, Castlecove on the Ring of Kerry Road between Waterville and Sneem. 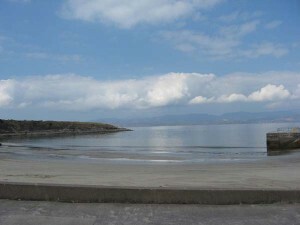 Both villages are located on the shores of Derrynane Bay which gives its name to the surrounding area. The bay is a renowned centre for all types of Watersports – swimming, diving, kayaking, canoeing, surfing, water-skiing, wakeboarding and of course, sailing. All available in the safe enclosed harbour of Derrynane. Other very popular activities available in the area include horse-riding, sea angling, golfing and hill walking. 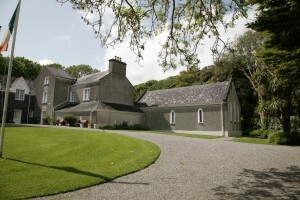 The area is rich in cultural history too with Derrynane House and National Park, home of Daniel O’Connell The Liberator (1775-1847), Staigue Fort and the Old Abbey. meaning “a knot” in Irish, hence “The Knot in the Ring of Kerry” is a charming and peaceful village located between Kenmare and Waterville. The village offers some shops, pubs, 3 restaurants and craft shops and is home to several artists. 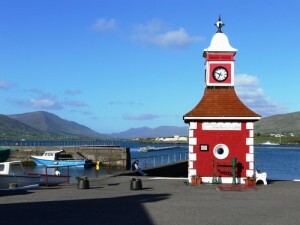 A picnic and barbeque area is available towards the pier, on the banks of the river Sneem, laid out with benches and tables. Sneem has two village greens, the north and the south square both with a selection of shrubs, bushes, small trees and flowers. A scrulpure celebrating Steve ‘Crusher’ Casey heavyweight wrestling champion of the world is located on the south green while on the north, buried under a plinth, until the year 2100, is a time capsule. Beach lovers will find the Ring of Kerry is blessed with some of the Europe’s finest beaches.